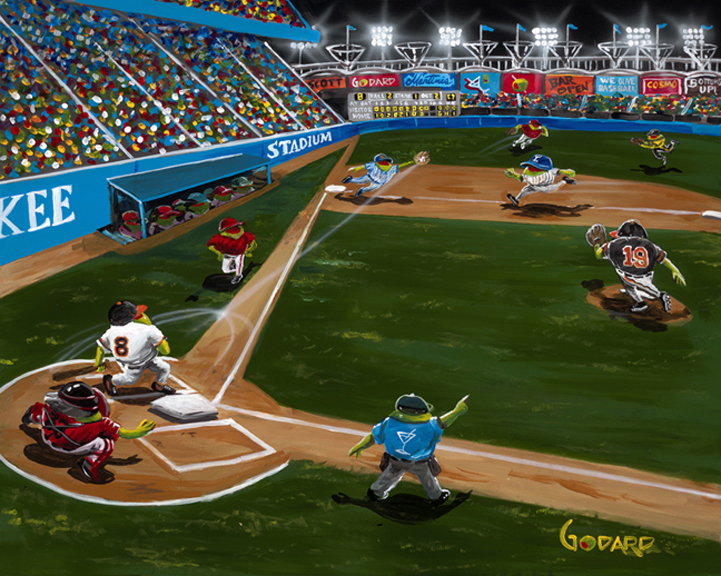 "Olive Baseball" by Michael Godard. Smaller size canvas is suitable for your smaller spaces. Artist Proof Edition of "Olive Baseball" features one-color hand-enhancing, adding a unique touch of texture and color to your limited edition.